What matters is not the magic in wand but the magic in genes! He was pioneer of this magical trend. Born in small village place kadav near mulashi dam Pune. Inspired from a Magician called Rana who performed Rajasthani Magic in a show held in his School in pune. By his dedication and efforts mastered the art of Magic and Hypnotism and performed thousands of show not only in India but also in Africa, Russia, and Europe etc. In 1960 started Magic classes to flourish the art at his own apanese styled bungalow ‘Pravasi Jadugar’.He has shared his experiences in two award-winning books named 'Pravasi Jadugar' and 'Me Pahilela Russia'. Dear all, Missed the Episode? 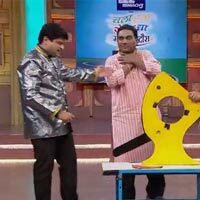 Now watch full Episode of Chala Hawa Yeu Dya with Magician Vijay, Jitendra and Ishan Raghuvir. When Magician Raghuvir used to perform there was one assistant of mere five years of age. He was none other but his son Vijay. After Acquiring B.E. Electronics from COEP, he has taken over his father’s profession in1978 and still following same path marvelously. With strong support from his wife Jyoti who is also an artist and his skills to showcase international magical illusions and effects modified as per Indian audience, Vijay has undoubtedly created his own mark in field of Magic. He has given performances all over India and in Japan, USA, Singapore, Hongkong, Thailand and Europe. He has written books like ‘Shatriya Jaduche Prayog’, ‘Hypnotism’ that are popular over years..
Abracadabra — he says, as he moves his magical fingers over a can filled with water, covers it with his palm and turns it over to find his audience looking astounded at the now empty can. 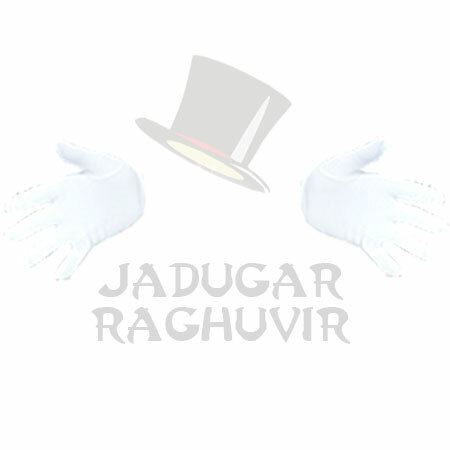 Here comes generation 3rd Magician Jitendra Raghuvir. Accompanying his father again from age five. Jitendra is B.E. Production India and MS Mechanical USA. Jitendra has made his own style and added technology in this field. He has given performances in all over India, in USA for 5 years, Europe almost in 10 countries, Singapore, Thailand, Malaysiya and Middle East. Jitendra is associated with American Academy of Magic and teaching advanced magic with his wife Ashwini who is also an artist. He is writing articles for various newspapers to create awareness about the art.